IP65 with loop-in/loop-out terminal block. Enlite IP65 Fire Rated GU10 Downlight EN-FD103W White is rated 4.4 out of 5 by 12. 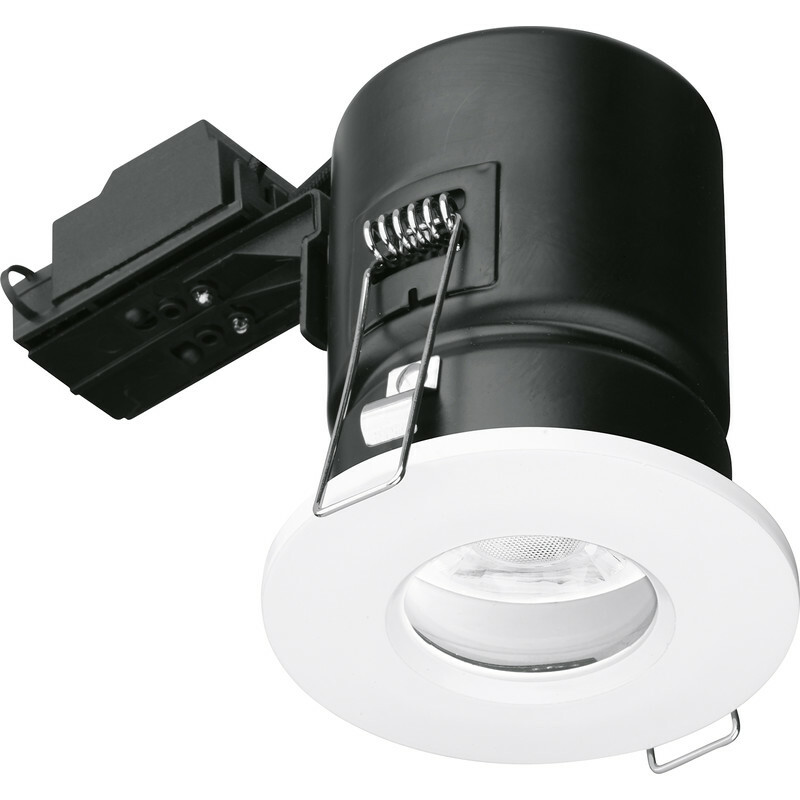 Rated 5 out of 5 by Kpd1974 from Excellent IP65 downlight Great product, easy to fit and finish to a high standard. All Rubber gaskets Provided to meet ip65 standard. Rated 4 out of 5 by Anmer from Prompt Delivery The unit is well made but the installation instructions should explain how the bulb is to be inserted and located. It's difficult to insert a bulb and it's not clear where it should be located in the holder. Otherwise, I was happy with the unit. Rated 4 out of 5 by SuiteP from Neat and easy to fit Replaced a three-year old chrome-plated bathroom light fitting that was showing signs of tarnishing. Hopefully, this white-painted IP65-rated unit will remain looking good a bit longer. Very easy to fit, slimmer and less obtrusive than its predecessor. Rated 5 out of 5 by Constantly Diy from Great and Easy I've used 14 of these so far in the kitchen and hall mainly. Easy to fit, bulbs are easy to replace and the retainers aren't flimsy either or those awkward clip types.